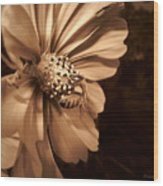 The sepia tone is lovely with this image. 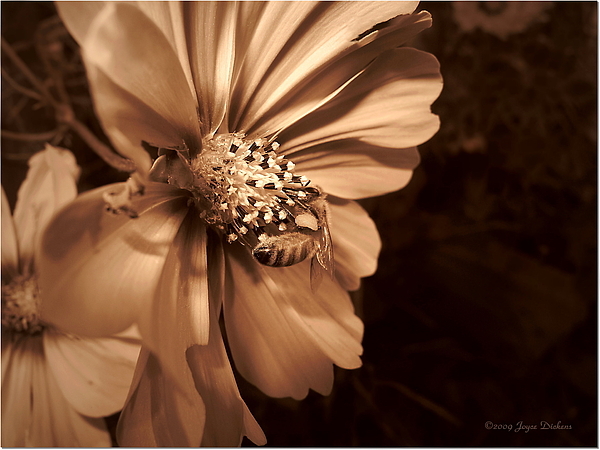 Captured here in my garden in Northern Ca., USA�.a Cosmo and a Honey Bee doing what he does best�..collecting pollen�.shot on 10/23/09 using my Canon G10 in the built-in Sepia and Macro modes. 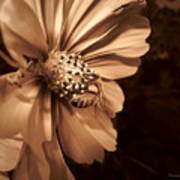 Save the Bees, Save the World!